Remember Razer's impressive Project Valerie from the CES 2017? The prototypes offered the world's first automated triple display laptops. 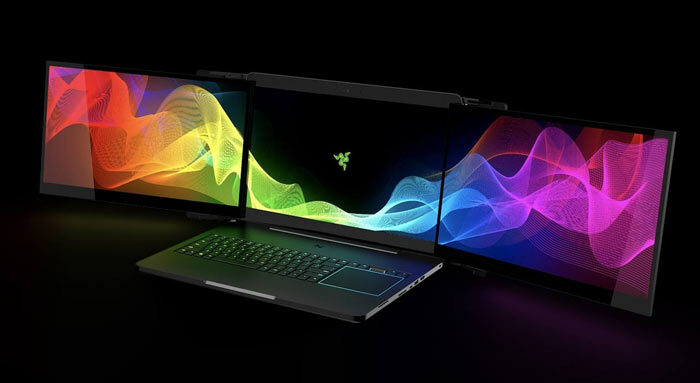 Razer combined its best industrial design and powerful modern hardware from the likes of Sharp, Intel and Nvidia to create this portable triple display workstation which weighed a reasonable 5.4Kg and folded to just 1.5-inch thick. Reports earlier this week came in saying that the two Razer Project Valerie laptops at CES 2017 had been stolen. Later the reports were confirmed by Razer boss Min-Liang Tan, who posted a $25,000 reward, in return for "original information leading to the identification, arrest and conviction of a criminal suspect". Now at least one of the prototype laptops has appeared on a Chinese auction/sales site called Taobao. It looks like WCCFTech was among the first to spot the Chinese listing of these stolen goods. The machines, which went missing from the Razer Press room about 4pm PST on Sunday, 8th January, have now surfaced in mainland China. "At Razer, we play hard and we play fair. Our teams worked months on end to conceptualize and develop these units and we pride ourselves in pushing the envelope to deliver the latest and greatest." "We treat theft/larceny, and if relevant to this case, industrial espionage, very seriously – it is cheating, and cheating doesn't sit well with us. Penalties for such crimes are grievous and anyone who would do this clearly isn't very smart." This case currently looks like a plain old sneaky opportunist theft. Unless the other machine has been sold to some Chinese PC hardware copyists, at least it looks like Min-Liang Tan's worst fears of industrial espionage don't seem to have played out. It will be interesting to see how this case develops now that there appears to be a public 'fence' selling the stolen goods for 150,000 Yuan, which is about £17,800 / $21,700. Surely Chinese authorities will be able to act on this blatant and obvious case of theft? Edit: or for the $25k reward, buy it and return it for $3.2k profit.